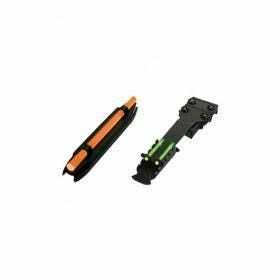 Gun sights are devices that are used to assist in the aligning or aiming of weapons. 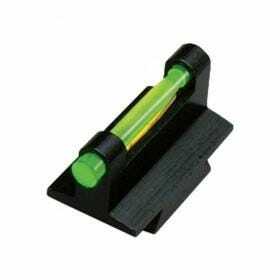 Sights can be a simple set of markers set along the barrel of the firearm, or they can be highly complex optical devices ranging from Telescopic sights to Laser sights. 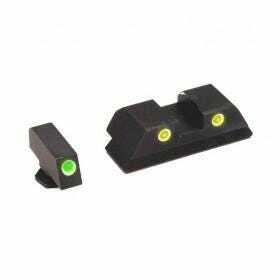 At its simplest a gun sight is composed of two sets of markers at the front and back of the firearm, these sights are usually formed by rugged metal parts, hence the name iron sights. On most types of firearms they are built in and may be fixed, adjustable, or marked for wind speed, elevation and target speed. This type of sight can take considerable skill and experience for the user who has to hold a proper eye position and simultaneously focus on the rear sight. Optical telescopic sights, commonly called scopes, are sighting devices that are based on an optical refracting telescope. Telescopic sights or scopes are used to increase the resolution of the target at a distance to where normal eyesight would be insufficient. As very few firearms come with telescopic sights, mounting a scope to a firearm requires additional equipment. 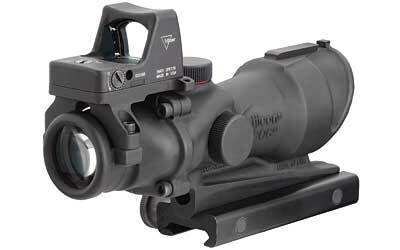 Another type of optical sight is the reflector or reflex sight. A reflex sight is a usually non-magnifying optical which allows the user to look through a partially reflecting glass element and see an illuminated projection of an aiming point or some other image superimposed on the field of view. 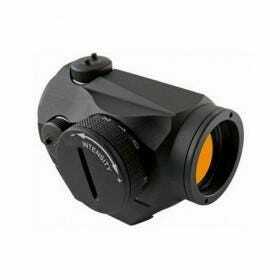 Originally made for military use, reflector sights are very popular on the civilian market.